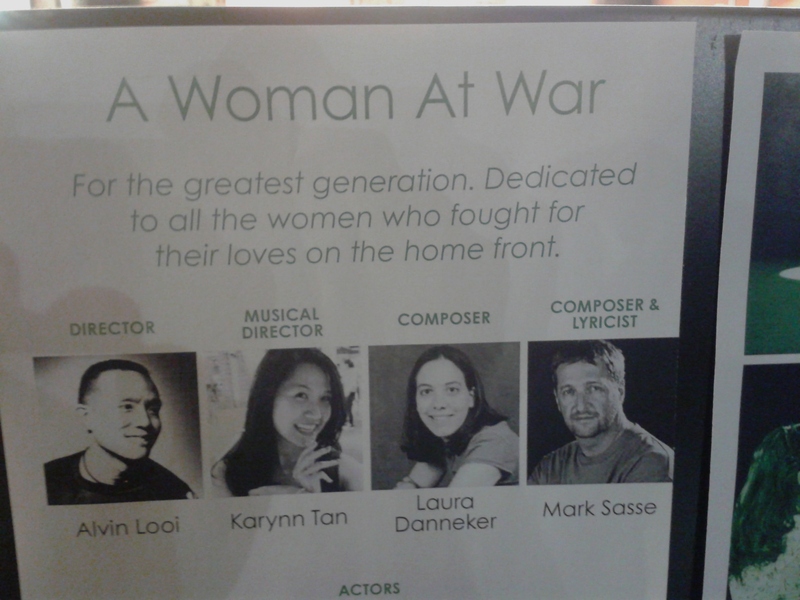 I had a great time last night finally seeing the production of my mini-musical, “A Woman at War.” Vivian Chan and Boon-Kit gave wonderfully emotional performances as Johnny and Sara, a young couple separated during World War II. 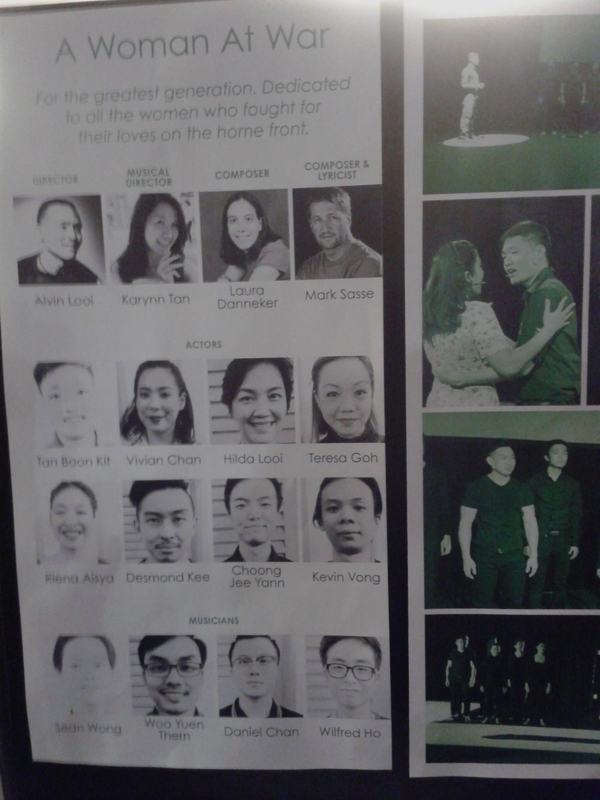 The direction and musical direction by husband and wife team Alvin Looi and Karynn Tan stayed true to the emotional story, and highlighted the events beautifully with a wonderful and powerful back-up ensemble. I feel so privileged to have such a group performing my work. Their dedication and hard-work paid off, regardless of what the judges ultimately decide. I get to watch it again tonight! There I am! 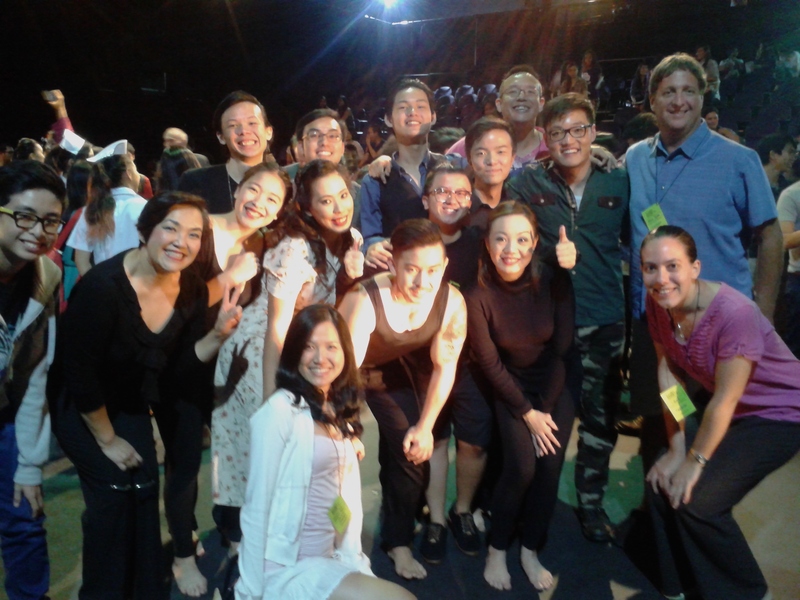 They called the writer down to take a bow with the wonderful cast and crew. There we all are. The placard outside the theatre. Here’s the whole cast plus the great musicians. 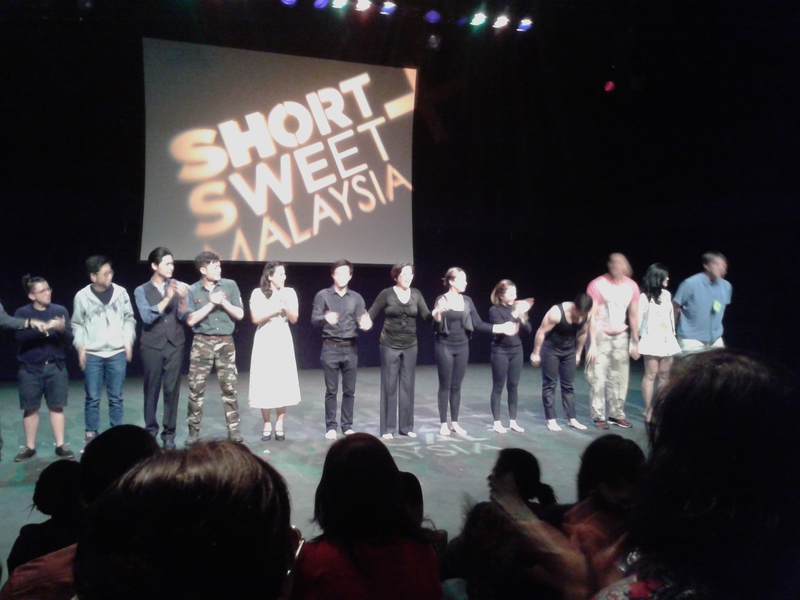 The cast taking a bow. Here’s the whole cast, crew, and composers. One more show tonight. We won’t know until next week whether it will make the gala night. Time will tell. Either way, awesome show by a lot of talented performers.